A diligent homeowner who is keen on protecting his investment and to ensure that the family lives under a dependable roof must put in place a regular maintenance program that ensures that the house roof is always in its best condition. Such a program is important not only because it will eventually save the homeowner a lot of pain and money, but will also add years to the life of the roof. A good regularly scheduled inspection and maintenance of the house’s roof is the key to detecting minor problems as soon as they appear. These minor problems can then be fixed early enough before they become major problems that can put significant dents on the homeowner’s bank account. It is also noteworthy to say that proper maintenance of the roof is a sure way to guarantee protection for the internal structures and functions of the house in the long-term. This guide targets new homeowners who have just acquired their own homes or are on the road to getting one. It covers important topics including basic preventive maintenance procedures, how to identify roofing defects in good time, and tips on how to go about fixing them. The best way to keep track of your home’s roof maintenance is to have a separate file for everything to do with roofing. This will not only help you stay on top of whatever work it needs or has been performed, but it also helps you keep track of schedules and costs as well as estimates for future works. Just the way you need to keep a separate file for the entire house and other fixtures and structures in it, it is never too much work to have a physical file or digital copies of paper files in your computer. You can also take some basic notes about the status of the roof at any time, and keep documentation such as warranties in one place. You can also go a step further and include any future dreams and designs you have for future improvement projects. First, you must be very cautious when it comes to roof inspection. Do not climb up the ladder to look at your roof unless you are confident enough and have all safety precautions in place. You must schedule regular inspection of your roof, either by you or a contractor, even if there are no obvious damages or leaks. A thorough inspection covers identifying damaged or missing shingles, debris, cracks in the flashings, and other problems that may not be noticeable at the eye level. 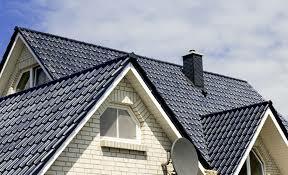 Proper maintenance of your roof starts with proper inspection, you must therefore take this step very seriously. It is very important that the gutters that drain your roof are constantly in their best possible condition. This means that they must never be clogged, or bent, or twisted, or draining backwards. When your gutters are not draining properly, the water and debris will damage not just the roof but the walls and the brackets that hold the gutters in place as well. You should make a point to track how frequently you clean and declog the gutters and keep the records in the roof file. Fallen leaves, ice dams, and other debris can cause serious problems that you can easily avoid by scheduling simple gutter maintenance every couple of months. Your home, including the house and the yard, is a more comfortable and livable place with trees shading it. However, trees with huge branches are known to cause a lot of damage to the roof. To properly maintain your roof, maintain the tree branches through proper pruning. When the branches appear too close to the roof of the house, have them re-shaped or trimmed. This will also help you protect the gutters and minimize risks of the tree branches falling on you’re the house. Most homeowners worry more about the ‘bigger dangers’ such as wind hails and tree branches and completely overlook the damage that the microscopic ones such as moss and fungus can do. Excessive moss, fungus, algae, and lichen can retain moisture that could damage shingles during extreme weather. Cleaning moss and fungus is not very difficult but it must be done with care. Depending on your location, you should know which season they are widespread and schedule annual cleanup. You can schedule one power wash and be sure to use commercial moss and fungal removal products, especially if the growth is excessive. You can never go wrong getting a professional to handle the inspection and the repair of your roof. While you may have to pay a small fee, it is good to know the actual state of your home’s roof rather than trust your amateur eyes which will most likely be conservatively biased. Roof material manufacturers offer guarantees on their products and often encourage homeowners to hire professionals to carry out proper inspection and repairs to extend the life of the materials. Besides, with advanced tools such as infrared imaging, contractors can detect even damages on the internal structures of individual shingles and warn you in good time how much they can hold on and how much they will cost to replace. The question you should ask yourself now is, how diligent of a homeowner are you as far as roof maintenance goes?